Find a Beatles Tribute Band for hire near you in minutes! Option 1. Enter your event location below & contact a Beatles Tribute Band directly! Option 2. Request multiple quotes from available Beatles Tribute Bands Get Quotes! Option 3. Read information & advice on hiring Beatles Tribute Bands Read Advice! 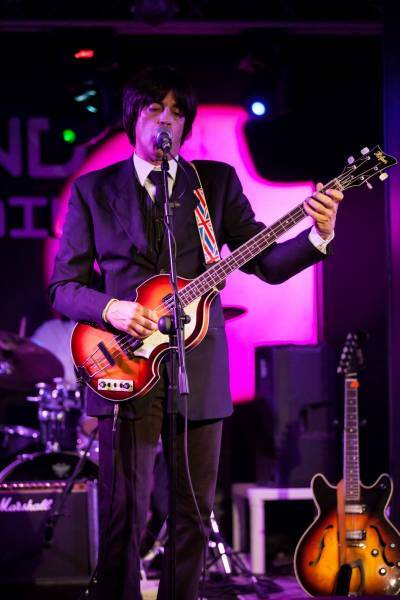 WANT TO KNOW MORE ABOUT BEATLES TRIBUTE BANDS? Read on for the most comprehensive guide to booking a Beatles Tribute Band, including how much a Beatles Tribute Band costs, exactly what they will do at your event, plus tips, advice and information to help make your event one to remember! With a Beatles Tribute Band, you will get four fab musicians who will play the Beatles biggest hits all the while staying in character as Ringo, George, John and Paul! What exactly will a Beatles Tribute Band do at your event? A Beatles Tribute Band will encourage your audience to ‘Twist and Shout’ and to sing along to the fab fours biggest hits! The Beatles were arguably the biggest band of the 20th century and enjoyed no1 hits all over the world. 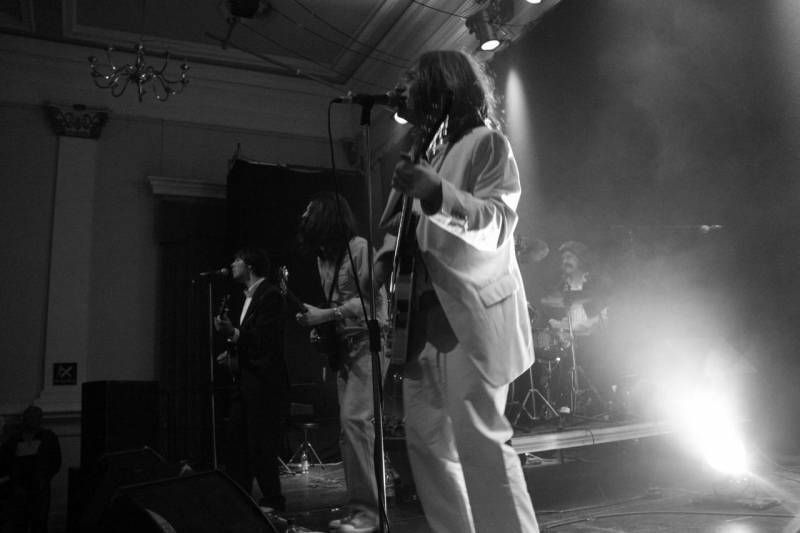 Beatles Tribute Bands are great to hire because their appeal shows no signs of slowing down! A Beatles Tribute Band will also dress like The Beatles which will include the mop-top Beatles haircuts, the grey Beatles suits and the Sgt.Pepper's costumes! Hire a Beatles Tribute Act and you get the next best thing to seeing The Beatles live. 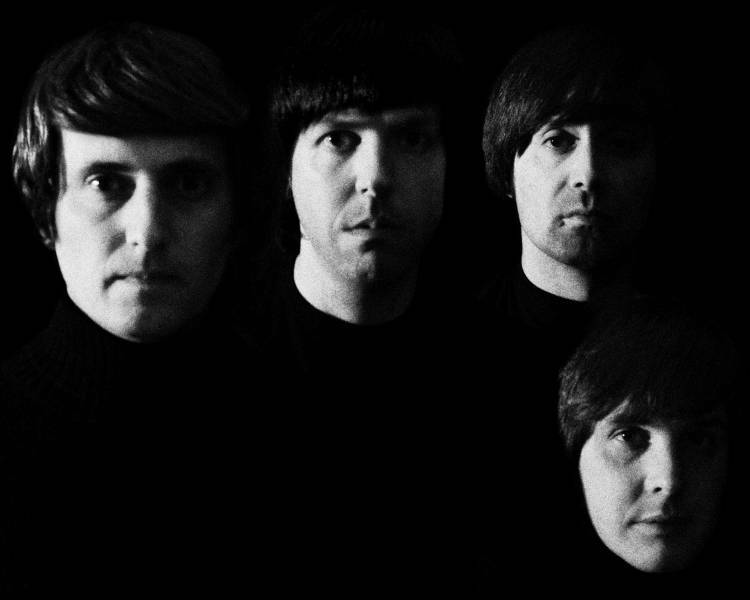 The Beatles Tribute Band will cover all of the biggest hits of The Beatles which may include: ‘Hey Jude’, ’Twist and Shout’, ‘Tomorrow Never Knows’, ‘Yellow Submarine’, ’Saw Her Standing There’, ‘This Boy’, ‘Hard Days Night’, ‘I Wanna Hold Your Hand’, ‘Love Me Do’, ‘From Me To You’, ‘Day-Tripper’ ‘We Can Work It Out’ and more! Mainly, a Beatles Tribute Band will entertain your audience with a fantastic live show that will put the wow factor into celebrations and impress your guests, whatever their entertainment tastes may be. What event types are Beatles Tribute Bands hired for? The drinks reception is a time for the bride and groom to relax and talk to their friends and family. What a better way to do this than to hire a Beatles Tribute Act to play, quite simply, the best music of the 60s! As the wedding photographer is snapping away, The Beatles Impersonators can be playing light-hearted, upbeat Beatles songs such as ‘Eight days a Week’ or ‘Revolution!’. The wedding breakfast is the time of day where the husband and wife cut the wedding cake and when the all important wedding speeches are being read. In between this time, why not hire a Beatles Tribute Band to sing Beatles hits to entertain everybody?! The Beatles had so many songs that it’s nigh enough impossible to run out! In our humble opinion, the best Beatles songs to request at your wedding breakfast would be: ‘All My Loving’ and ‘Here Comes the Sun!’. So, the official wedding nuptials have been said, the speeches have all been read and the cake has been cut, the only thing left to do is to party! Hire a Beatles Tribute Band for your wedding eveing reception and you will get that fantastic Mersey Beat sound that Lennon and McCartney were famous for creating! For the wedding evening entertainment, you can expect the best of the Beatles to be played live! We suggest kicking off with ‘Penny Lane’, before moving onto ‘Ob-La-Di, Ob-La-Da’, and then a sprinkling of ‘A Hard Day’s Night!’ Hire a Beatles Tribute for the wedding reception entertainment and you will be hearing praises from friends and family ‘Eight Days a Week!’. The universal appreciation of the Beatles music means that they are perfect for corporate events! You may want to book a Beatles Tribute for your annual work party?! The hits of the Beatles played live will be a great bonding tool for your co-workers and will break the ice like no other music! How about hiring a Beatles Tribute for your trade show or your product launch? The Fab Four are one of Britain’s greatest exports and so the Beatles brand is still very strong, so what better way to promote your company! Considering having a 60s themed party? Then hire a Beatles Tribute Band to provide the timeless music! With The Beatles Tribute providing your live music, everyone will be transported back in time to the groovy 60s where they will hear the best Beatles Rock ’n’ Roll songs and the best Beatles ballads! Hoew about hosting a Beatles themed party, where your guests dress as the fab four from different eras of their perfect career?! A Beatles Tribute Band would naturally be ideal for such an occasion! How much do Beatles Tribute Bands cost to hire? Our simple to use entertainment directory allows you to firstly search for the best Beatles Tribute Bands who are local (or travel to your area) and then via the contact form you may message them directly to enquire for a no obligation quote to perform at your event. Some acts will also add a rough price guide to their profile for your convenience. What are the usual set formats and performance lengths for Beatles Tribute Bands? A Beatles Tribute Act can tailor their performance to times to suit you and your event, however, on average a professional Beatles Tribute Act will perform for two 45 minutes sets. How much space will a Beatles Tribute Band need at your event? A Beatles Tribute Band will need enough space to play comfortably as a 5 piece (Ringo, George, John, Paul and a keyboardist) The average space needed for a stage is 4 meters wide and 3 meters deep. What equipment and set up requirements do Beatles Tribute Bands need? As with most artists who sign up to Entertainersworldwide.com, a Beatles Tribute Act will provide all of their own equipment. You may want to enquire if an artist needs a PA to amplify their sound, in which case we would advise to use our easy to use messaging service to find out. We do ask that each performer gets a backstage area in which they can prepare for the performance ahead. If your venue does not have a backstage area, then we kindly ask that you enquire with the venue to seek an alternative space in which the performer can comfortably get ready to entertain. How can you find and book a Beatles Tribute Band with Entertainersworldwide.com? WANT TO RECEIVE A RANGE OF QUOTES FROM Beatles Tribute Bands?